Who is the Current President of Zarai Tarqiati Bank Limited (ZTBL)? Who is the President of The National Bank of Pakistan? Who is the Current Captain of Pakistan Woman Cricket Team ? Who is the Current Chairman of Pakistan Telecom Authority (PTA)? 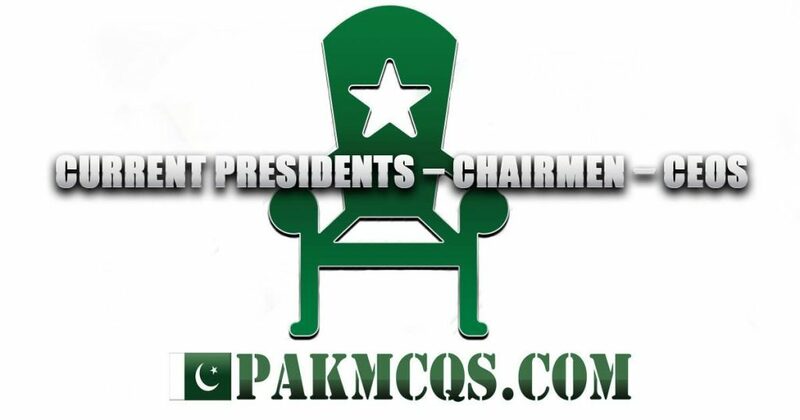 Who is the Current Chairman of Securities and Exchange Commission of Pakistan (SECP)? Who is the Current Chairman of Sindh Public Service Commission (SPSC)? Who is the President of Pakistan Hockey Federation (PHF)? Who is the Current President of National Defence University (NDU)? Who is the Current Vice Chancellor of Allama Iqbal Open University?